Brian John Mitchell: It’s a mini-comic the size of a pack of matches about a walrus making a living as a jazz saxophonist after the apocalypse. I think that probably covers it for the most part. JMH: Can you describe the world/universe he’s from? Brian John Mitchell: It’s after an undisclosed apocalypse & the world he’s in has a mix of modernity & the typical post-apocalyptic presence of low-lifes. The world he is in really pays homage to some of the 1970s & 1980s post-apocalyptic stuff like Kamandi & Killraven & Thundarr & Mad Max & Battletruck. Other influences definitely include John Carter of Mars & Cerebus. JMH: Does Walrus have supporting characters and if so can you tell CBI about them? Brian John Mitchell: So far I don’t think anyone has appeared in multiple issues, but some of the supporting cast have been Kenny G, John Tesh, Bruce Springsteen, a Sea World Prague trainer, Shawn Atkins, & a weregator. The weregator might get a little spinoff story at some point. JMH: Was Walrus inspired by anything from your past or real life experiences? Brian John Mitchell: It comes from a mix of things. There was this viral video of a walrus playing a plastic saxophone maybe ten years ago. Then I played a noise show with a goth rocker who was wearing this shirt that was worn into a rag status & had this post-apocalyptic look & he had all these saxophone keyboard tones that reminded me of the walrus & he had this song about chicken legs & that was pretty much the impetus for the first issue. The third issue came from working at this smooth jazz bar where these two girls were making fun of the music & one said, “It sounds like elevator music,” & the other said, “Yeah, but in the grooviest elevator in town!” The fourth issue came from thinking who would The Walrus be in a band with & this idea I had with my friend Philip Palmer who got bit by an alligator once about an alligator who got bit by a man & turns into a man once a month. Brian John Mitchell: I think The Walrus has an unstoppable attitude in the face of adversity. He’s an unrelenting underdog. So I guess the secret message is about tenacity. Brian John Mitchell: I’m the writer & Jared Catherine does the art. Occasionally my wife coaches me some on plot ideas. I do a scripting style where I have the final captions & dialog done & let the artist have 100% control over what to draw. 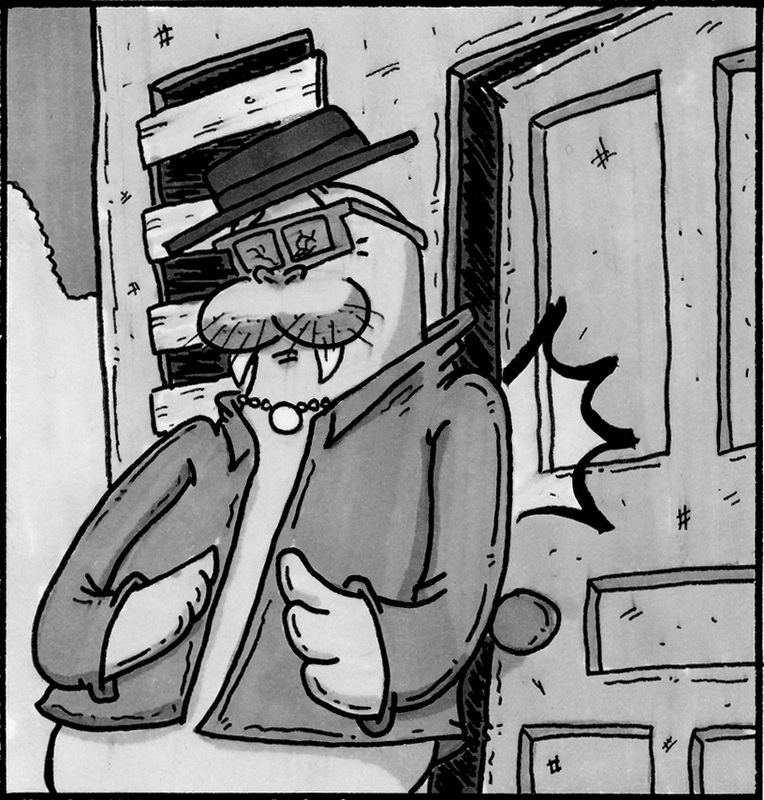 JMH: Will Walrus be released in digital format, web comic, or print? Brian John Mitchell: Physical copies & PDFs for now. Maybe video as well one day. JMH: Where can fans get a hold of Walrus? BJM – www.silbermedia.com/walrus or at certain convention appearances featuring me or Jared. I try to be pretty open. 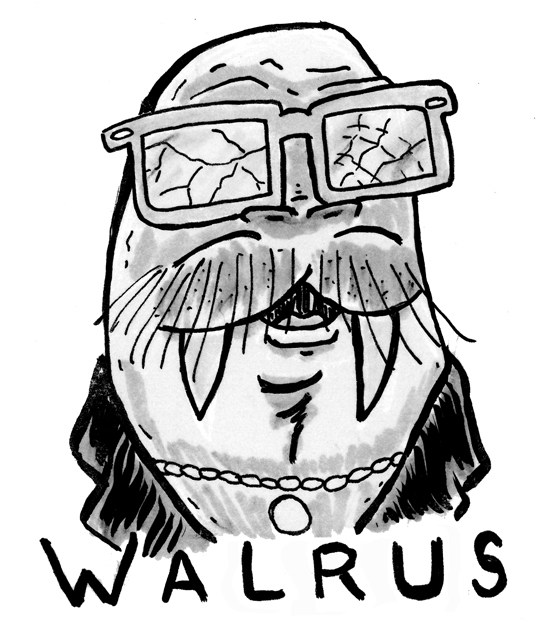 JMH: Finally, is there anything coming up in further Walrus stories, or other projects you want people to know about? Brian John Mitchell: I don’t have any upcoming issues of Walrus scripted as of the moment, but I’m sure more will be coming soon. I have about ten scripts out with artists at the moment for other comics & I’m doing some interviews with cartoonists for my webzine. I try to keep busy.